Complaint filed by the Deputy Director of Income Tax fails for procedural snag. The Supreme Court held that the Deputy Director of Income Tax (Investigation) has no competency to file a complaint against the contempt of the lawful authority of Income Tax Officers, resulting in quashing the complaint. The Court was dealing with the multifarious questions related to the competency of the Deputy Director of Income Tax (Investigation) to file a complaint of the aforementioned nature, territorial jurisdiction of the Court to entertain a complaint etc. The factual settings are that the Deputy Director of Income Tax (Investigation)-I, Bhopal filed a complaint before the Chief Judicial Magistrate at Bhopal against the appellants alleging commission of offences under sections 109, 191, 193, 196, 200, 420, 120B and 34 of IPC as they alleged to have given false statement to the Income Tax Officers while their statements were recorded on oath under Section 131 of the Income Tax Act in pursuance to a search proceeding conducted in their respective premises. The order of taking cognizance by the Magistrate was assailed before the High Court but to no avail. 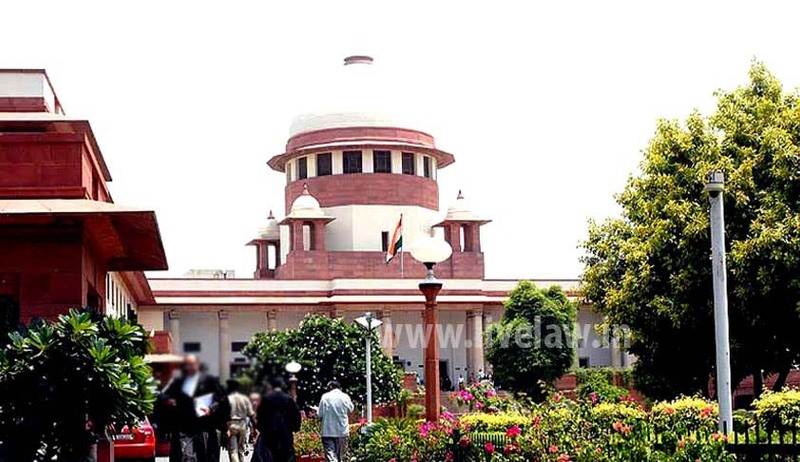 The Apex Court, referring to settled law, held that there is no escape from the proposition that for a valid complaint under Section 195 of the Code, the mandate thereof has to be essentially abided and as is easily perceivable this is to prevent frivolous, speculative and unscrupulous allegations relating to judicial proceedings in any court, lest the process of law is abused and public time is wasted. Section 195 of the Cr PC stipulates that the complaint for prosecution for contempt of lawful authority of the public servants, among other things, has to be filed by either the court /public servant concerned or by the officer duly authorised in writing by that court in that behalf or by the court to which that court is administratively subordinate. To identify the court subordinate to the court against which the contempt was committed provision is made in section 195 (4) of the Cr PC, which says that a court shall be deemed to be subordinate to the court to which appeals ordinarily from the judgements of that court. Section 195(1)(b) of the Code, which is relevant for the instant pursuit, prohibits taking of cognizance by a court vis-a-vis the offences mentioned in the three clauses (i), (ii) and (iii) except on a complaint in writing of the Court when the offence(s) is/are alleged to have been committed in or in relation to any proceeding before it or in respect of a document produced or given in evidence in such a proceeding or by such officer of that court as it may authorise in writing or by some other court to which the court (in the proceedings before which the offence(s) has been committed) is subordinate. A patently regulatory imposition in the matter of lodging of a complaint for such offences is discernible assuredly to obviate frivolous and wanton complaints by all and sundry. 246(1) of the Act do not include one stemming from any proceeding before an assessing officer under Section 132 of the Act pertaining to search or seizure. Noticeably though under Section 116 of the Act, as referred to hereinabove, under clause (d) thereof, Deputy Director of Income Tax, Deputy Commissioner of Income Tax and Deputy Commissioner of Income Tax (Appeals) have been bracketed together, it is only the Deputy Commissioner (Appeals), as is apparent from Section 246(1), who has been conferred with the appellate jurisdiction to entertain appeals, albeit from specified orders passed by an assessing officer as mentioned in that sub-section.